No matter how hard it is, we still do it. We still exercise. Why? Well.. You know you should exercise for better health. Obviously, it strengthens your immune system, protects you from heart disease, reduces stress and is probably imperative if you want to fit into your favorite jeans again. But did you know exercising too hard or too often can actually set back your fitness goals? Your workout should be challenging, but it’s important that it is also realistic, enjoyable and on target with your fitness level, especially if you are a beginner. When exercise is a consistent, moderate and pleasant component of your lifestyle, you’re more likely to achieve better and more permanent results. Exercising too much too soon or too often can lead to injuries. 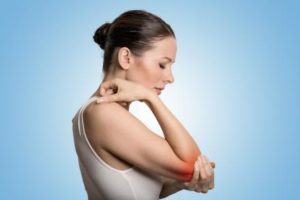 Every year when summer approaches and people begin new workout regimens, hospital emergency rooms report higher incidences of exercise-related strains, torn ligaments and broken bones, as well as dehydration, heat exhaustion and heart problems. Serious injuries can be devastating to your fitness goals and your life, and even minor injuries are inconvenient. These will also have a direct bearing on your exercise routine. 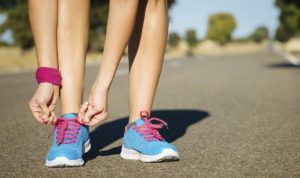 It’s hardly worth pushing yourself to your fastest 5K on your first run of the season if shin splints keep you off the trails for the next few days or a sprained ankle keeps you out of your running shoes for weeks. Start slow, and know your limits. You’ll be able to stretch them farther in the long run. Overdo it, especially in the beginning, and the resulting fatigue and soreness can put off your next workout or, worse, discourage you from the activity altogether. Even the most determined of fitness aficionados can be affected by a lingering impression from a negative experience and avoid the activity. Exercise really can be something you look forward to each workout. It elevates your mood and leaves you feeling strong and accomplished. It’s your time to do something just for you. Do everything you can to preserve your positive attitude toward your exercise routine. It’s okay to push yourself to do better, but remember that the best results occur over time, when exercise is a permanent and positive part of your life. Good form is essential to strength training. It prevents injury and gives you the best results for your energy output. Lifting too much weight leads to poor form. When the muscles you are targeting become fatigued, your body compensates with smaller, weaker muscles that tire more easily. Not only do you risk serious injury, but when you lift too much weight, your body is more uncomfortable and your workout was less effective. Work with weights that are appropriate for your current strength and endurance. You should be able to complete 3 sets of 8-12 repetitions that are challenging but not so challenging that they force you to compromise your form. You’ll find you’ll achieve better results, from a workout that is less exhausting! When exercise becomes an unhealthy obsession, it can be dangerous both physically and emotionally. 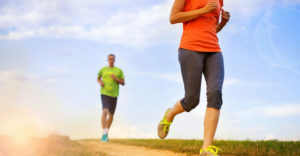 Compulsive exercise, sometimes called exercise bulimia, occurs when one over-exercises as a means of gaining a sense of power or control over one’s life. It is healthy to exercise for better health, to feel strong and athletic, and to look our best. Exercise becomes a compulsion when it is used to take the place of other sources of fulfillment. Those with a compulsion feel obligated to exercise when they feel guilty, inadequate or unattractive. Not surprisingly, compulsive exercise is most common among those who participate in high-pressured athletics and those who have another eating disorder, but it can affect anyone. In addition to injury and dehydration, the risks of compulsive exercise include insomnia, depression and fatigue, as well as the deterioration of personal relationships and performance at work or school. Make sure your fitness goals are realistic — – 30 to 45 minutes of cardiovascular activity a day, five to six days a week is recommended — and that you maintain a healthy perspective. Fitness is important, but it is only one of many aspects of your life that contribute to personal fulfillment. Previous Is It Time To Say Goodbye? Next Have You Met Your Forever Partner?